My favourite time of year has come around again so quickly! 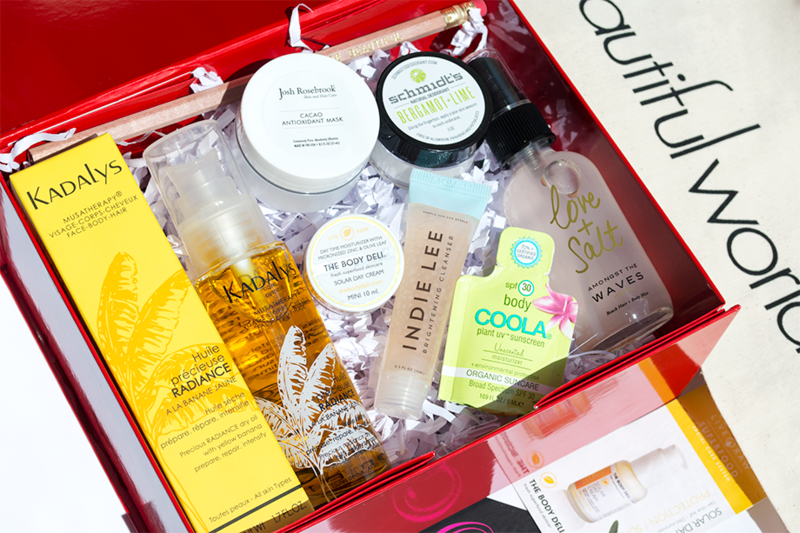 If you follow any green beauty bloggers on Twitter you will have noticed the buzz yesterday when abeautifulworld's bi-annual sampler box was released. The boxes are limited edition and, as always, sold out in record time! My shiny red box was super speedily delivered this afternoon so I couldn't wait to share what's inside - this might even be my favourite box yet! It's always exciting to find out what's included as the contents can vary slightly from box to box. The product selection is definitely impressive, featuring: Kadalys Radiance Dry Oil, Josh Rosebrook Cacao Antioxidant Mask, Schmidt's Bergamot + Lime Deodorant (reviewed here), The Body Deli Solar Day Cream, Olivine Love + Salt Beach Hair & Body Mist (reviewed here), Indie Lee Brightening Cleanser (makes the whole box smells like strawberries!) and COOLA SPF30 Unscented Sunscreen. Also included as added extras: the cutest pencil printed with the words "You are beautiful", a zip-lock Tili Bag and a cream-coloured abeautifulworld tote. I'm so pleased with the products - a big thank you to abeautifulworld for curating such a great value box yet again! I already love Schmidt's Deodorant and Olivine Love + Salt so it's great to have travel sizes for the summer. All the other products have been on my wish list and I can't wait to try everything out, especially Josh Rosebrook's Cacao Antioxidant Mask. I'll definitely be doing a couple of product reviews soon! 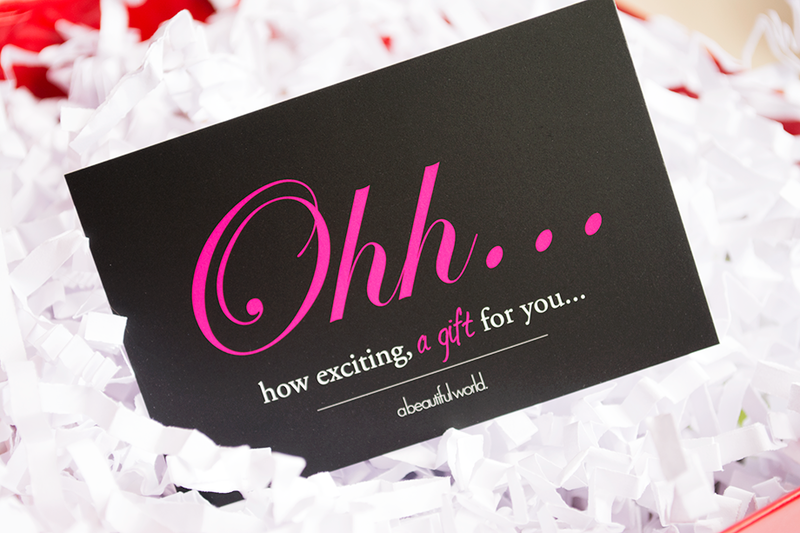 If you missed out this time and fancy getting your hands on the next A/W box around October time, be sure to keep an eye on abw's Twitter and Facebook pages to find out when it will be released! I was interested in trying this but it always seems to be sold out when I check. There are some really lovely products I'm eyeing here!